It’s been a while since I’ve blogged here, and believe me I’ve tried. So much has been happening in my personal life that I’ve barely had time to think crafty. That 3 weeks til market has shrunk ridiculously quickly and is down to less than one week. And I had all these great ideas to get some new items done. I have now got all the bits I wanted – from that cool book I bought – and can make any of the items when I am ready. Today I am going to have a go at the clay. Its going to be easy. Well, simple projects. 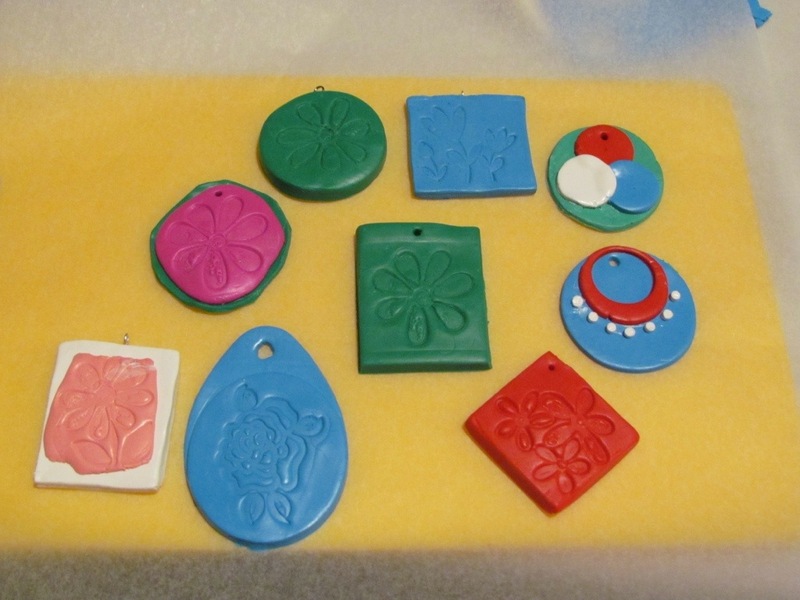 Pendants of clay, in bright colours with flower stamps (or indents) either left as pendants or simply strung on chain or ribbon. That is the idea. I like my brights. That is my thing. Sure I could do muted tones, but while not ‘selling myself out’ I’d still rather not do them. I want to make things I like, and encourage the people that like the same things. Bright is beautiful, always reminiscent of summer and fun times. Hmm, I’ve had a very little play and it seems that I really should be using ink with the stamps. The impression is alright but will better with ink. The to do some research. Alright, I’m back. Done some research, Made a few more purchases, and now waiting for the delivery. I’ve baked the clay and they look ok. Bright colours are rarely classy and while I am not looking for that genre, I still want them to look good. I’ve decided a few can be made into a brooch with a cloth background. I think that might be ok. I also have to work hard at making things small. I need to make something, and then go, halve it. Then it might be the right size. But is that stepping away from who I am. 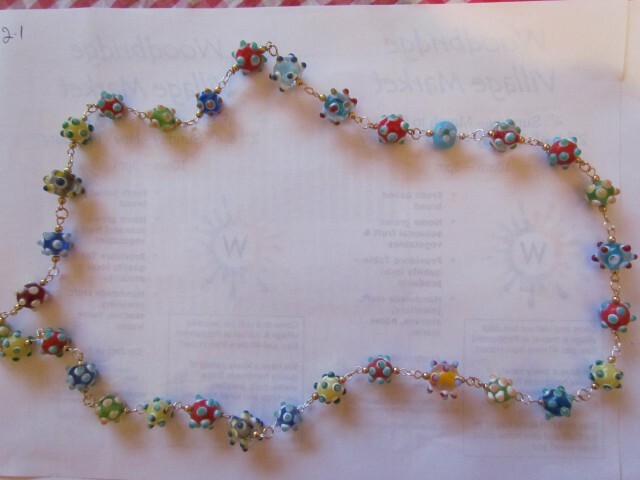 I have to find a way to market my items towards those that like big bright jewellery. These are the few pendants I made, I quite like them. The pink and green one was rounded and smoothed out before I baked them. I’m thinking of just stringing them on a simple chain or ribbon with the ink and white one being a vintage styled half beaded necklace. Sometimes trying new things is more than a gamble. It’s working out whether you want to keep doing it, or whether its something you can do. I visited a shop my mum was working in (as part of selling items there, the co op ask that you do some work as well) and saw lots of gorgeous pieces of jewellery that jolted me back to inspiration. And I think I know what I want. Making beads to be used in necklaces rather than the foal points. We’ll see how the next lot goes.